Privileged accounts are soft targets for hackers and often prove to be at the root of advanced data breaches and internal attacks. Therefore, the first and foremost step to secure and manage your privileged accounts must be discovering all critical assets and their associated accounts and credentials on the corporate network. With the proliferation of privileged accounts in enterprises, the number of passwords that must be protected has also grown substantially. Tracking all these passwords is a daunting task and, eventually, people write them down or store them on spreadsheets and other electronic platforms. However, such practices are dangerous and may lead to unauthorized users gaining access to the passwords. Privileged account passwords are not the only sensitive data that must be managed. There are scores of other important records that have to be protected and circulated with respect to your environment, such as online web accounts, digital certificates, license keys, documents, and images. In any organization, passwords for sensitive resources must be kept under direct control. One way to achieve this is by establishing a clear ownership for the passwords. A well-defined ownership concept can go a long way towards ensuring that all privileged accounts are traceable to authorized employees, and not abandoned. Beyond eliminating security vulnerabilities related to orphaned accounts, it's also important to implement secure sharing practices and comprehensive control of the passwords. External identity stores (such as Windows Active Directory) are common deployments today in enterprise environments for user management, authentication, and provisioning. Therefore, leveraging the AD (Active Directory) setup while implementing security controls for your organization saves a lot of time in the onboarding process. Convenient as it may be for IT teams to use the same password for every privileged account on the network, the practice is unhealthy and ultimately fosters a fundamentally insecure environment. Secure management of privileged accounts requires the usage of strong, unique passwords that are periodically reset. Password Manager Pro's automatic password reset capabilities help get rid of unchanged passwords and protect your sensitive resources from unauthorized access. Internal tech teams who need access for IT services and maintenance. 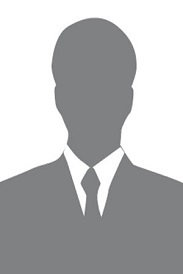 Employees who require temporary access to resources for business needs. Business partners, contractors, outsourced consultants, and other third parties. 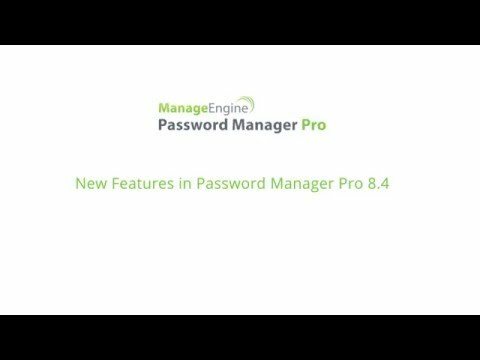 Password Manager Pro serves as a centralized repository for organizations to consolidate sensitive passwords. A strong vaulting mechanism, AES-256 encryption, dual encryption, encryption key isolation, and other standard good practices ensure rock-solid data security. Since Password Manager Pro is a privileged account management solution, data stored in its database is critical. So, for disaster recovery purposes, Password Manager Pro lets you back up the entire database, including application configurations, system settings, and even password share permissions. You can utilize either automated periodic backups through scheduled tasks or live data backups, both of which are available for PostgreSQL, MySQL, and MS SQL server. PhoneFactor - This leading global provider of phone-based TFA enables simple and effective security by placing a confirmation call to your phone during the login process. Unique password through email - Authenticate by emailing users unique passwords. The passwords validate the user for one login session and then expire. RSA SecurID - Integrate RSA SecurID with Password Manager Pro to generate a one-time validation token that changes every 60 seconds. Google Authenticator - Time-based numeric tokens developed by Google can be received by installing the Google Authenticator app on your smart phone or tablet device. RADIUS-compliant TFA - Leverage the authentication mechanisms of any RADIUS-compliant system, such as Vasco Digipass, to create one-time passwords. Duo Security - Leverage the Duo security authentication as the second level of authentication. Handle data recovery in Password Manager Pro quickly and easily with the help of restoration scripts. All you have to do is reinstall Password Manager Pro and restore the backed-up data. Q. What are the Licensing Options for Password Manager Pro? Q. What Platforms Does Password Manager Pro Support? Q. What Problems Does Password Manager Pro Solve? If you are an IT Administrator responsible for securely managing your IT infrastructure, check yourself: Are you drowning in a pile of privileged passwords? Do you store administrative passwords in spreadsheets & flat files? Do you find it difficult to track who has access to which accounts? Do you laboriously logon to each application separately to periodically change passwords? If yes, you certainly need Password Manager Pro! Basic passwords are probably the worst enemy of every administrator. And people keep using their kid's names plus birthday. Mainly because they are afraid to forget it. We facilitate a way to keep them safe. I would like to count with a One price has all the features... This is not exclusive for Password Manager Pro of course, many vendors are doing the same.